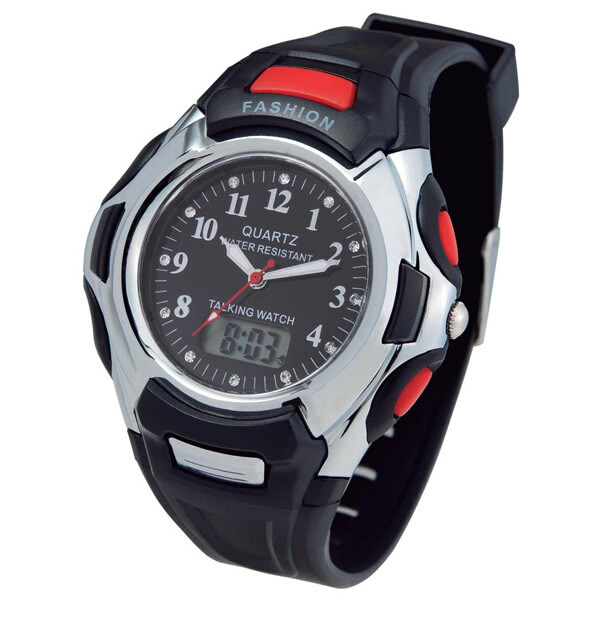 This sports watch is water-resistant and can withstand incidental contact with water, such as rain and washing your hands. It's perfect for all active lifestyles and will be especially appreciated by the blind and visually impaired. Other features include an hourly chime, alarm with snooze and a sweep second hand.